My-eLiquid was in Vaper Magazine, the business magazine for the steamboat industry! 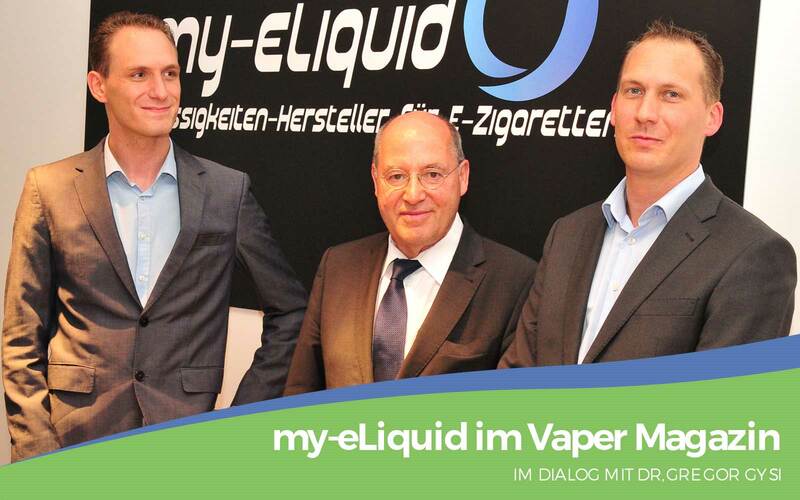 In an article about Dr. Gregor Gysi's visit to my-eLiquid in Munich, the difficulties encountered by manufacturers of liquids due to regulations and bureaucracy are pointed out. According to the article, Markus and Stephan Steiner have been in contact with politicians for a long time in order to make clear the effects of the national tobacco product law. The two finally succeeded in inviting the left-wing politician Gregor Gysi to a personal meeting. The administrative effort caused by the law had forced my-eLiquid to register about 80,000 individual products via a cumbersome and time-consuming system, which was particularly disadvantageous for young entrepreneurs. In addition, the mandatory package size of 10 ml vials for nicotine-containing liquids was addressed. This legal innovation causes not only a high production expenditure, but also substantially larger quantities at garbage. Dr. Gysi was visibly surprised by the effects of the new law, especially as all aspects of the legislative process had apparently been ignored. Also the goal of pointing humans out in the smoking cessation the healthier alternative E-cigarette publicly failed. The road to fair legislation will be a long one; the dialogue with Dr. Gysi was just the beginning.